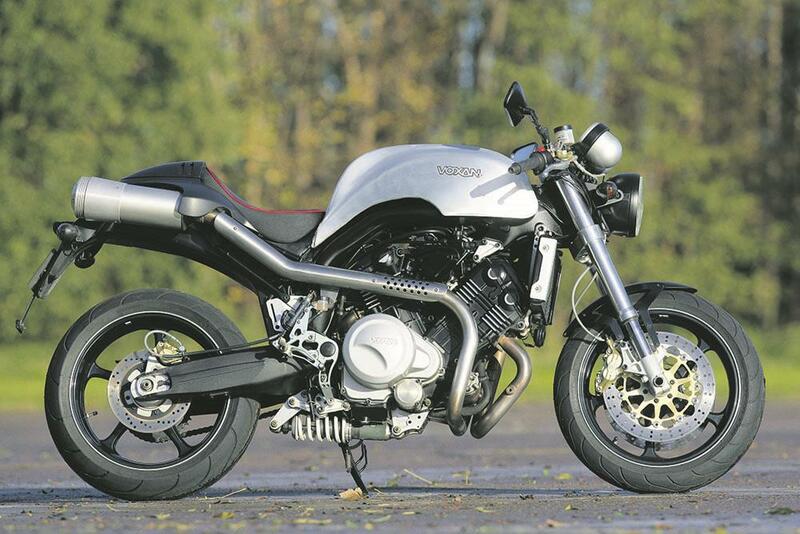 ﻿ Whatever happened to Voxan motorcycles? Handsome Voxan Black Magic was based on the firm’s original Roadster and was a product of the firm’s 2004 resurgence. Like Triumph, Voxan took a basic model and turned it into several variants. Stylish and well made, the Voxan range featured top quality components. The Black Magic (right) provided the basis for the nutty Charade Racing. Voxan? Wasn’t that a single by The Police? No, that’s Roxanne. Voxan was a French motorcycle manufacturer which launched in the mid-1990s and basically aimed to ‘do a Triumph’ but with a bit of extra Gallic flair. You said aimed. Is it not around any more then? Sadly not… although it sort of is – but we’ll get to that later. But it’s certainly not around in its original guise of stylish, modern V-twins. Sounds good. What were they? A family of fairly funky roadsters, café racers and even scramblers all based around an all-new, liquid-cooled V-twin. They were fun, fresh and fashionable – a bit like revived Morini were, in fact, a decade later. So how did Voxan come about? It was the brainchild of French entrepreneur Jacques Gardette who, reputedly inspired by John Bloor’s revived Triumph, aimed to create a high-profile, French motorcycle company. Voxan was the result, and was founded in Issoire (a town in south-central France, just below Clermont-Ferrand) in 1995. The cream of French motorcycling. 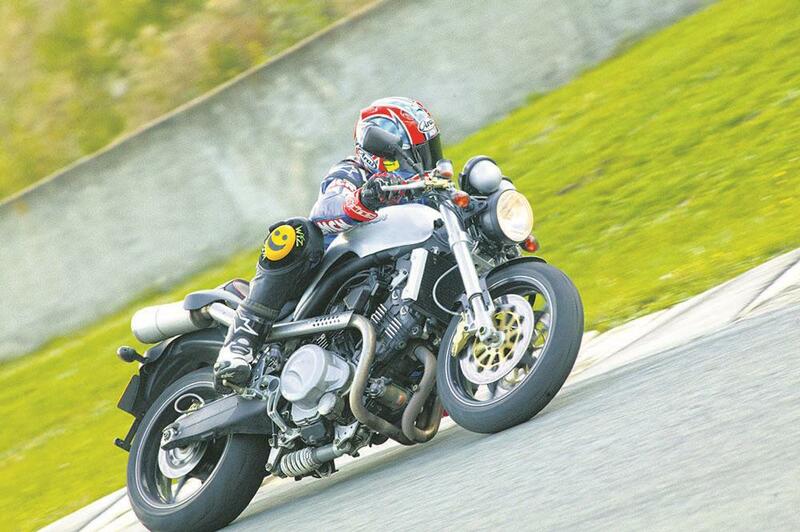 The unique, 72-degree, 996cc, V-twin was developed and built by Sodemo Moteurs, one of France’s most prominent tuning companies. While its tubular steel chassis was by no less than Alain Chevallier whose frames had won numerous 250 GPs during the 1970s and 1980s. That’s right. Again following the Triumph model, the same engine and frame were used to create a whole range of machines. The first, the Roadster, was unveiled in 1997 before eventually going into production two years later. 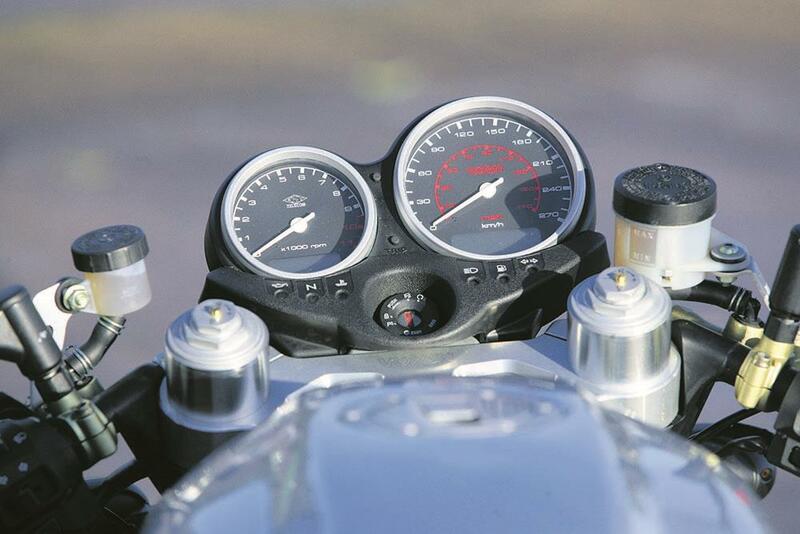 That was joined by a Café Racer in 2000 and then, quite prophetically as it turned out, a Scrambler in 2001. A few others followed later still. Not bad, certainly. Though that first, limited-edition (just 50 were made) Roadster was a little odd-looking, the 100bhp motor was fruity enough and with WP suspension and Brembo brakes, it handled well, too. While the later Café Racer and Scrambler were not only handsome they were also so fashion-orientated they were probably a decade before their time. More due to bad business than bad bikes (although that 100bhp max, chosen to adhere to France’s then domestic power cap, did stifle international appeal). In truth, the company had problems from the outset. Production of the Roadster was delayed and by the time the Café Racer was unveiled, huge aviation conglomerate Dassault (most famous for the Mirage) had stepped in to provide extra funding. over completely. The Scrambler was launched soon after. So it was back on the up, right? Only briefly. With a workforce now of just 16 and production of barely 700 bikes annually, Voxan was now a much smaller affair. The Black Magic came out in 2004 with the Charade following in 2006. Later controversial designer Philippe Starck (he of the infamous Aprilia Moto 6.5) became involved, too, coming up with a Super Naked XV prototype. None of it was enough, though. 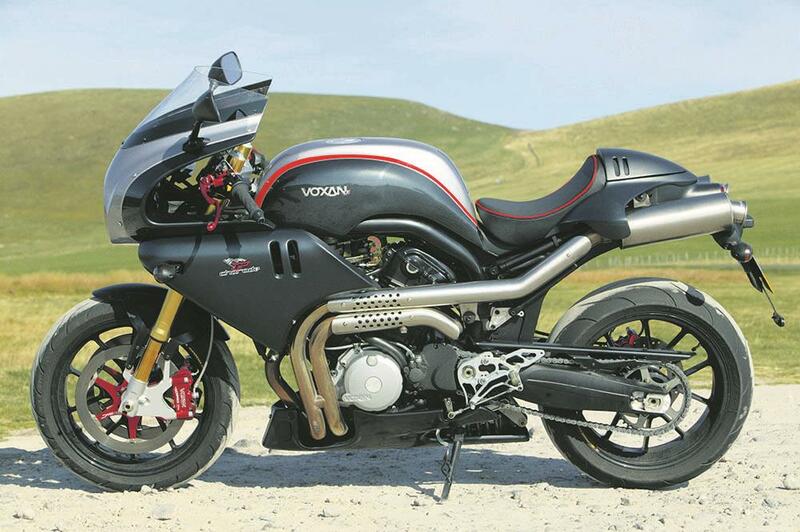 In late 2009 Voxan finally succumbed to liquidation and was acquired by Monaco-based Venturi Automobiles. That can’t have been it? Pretty much was. All production stopped and the engineering staff were relocated to Venturi’s HQ. Then, in 2010, it was announced that there would be a new electric Voxan in 2013. A Wattman, actually, as that was what it was called. Admittedly it did look promising at first, being shown at the Paris Show and claimed to be capable of 100mph. Unfortunately, however, it hasn’t been seen since. Back in big business as the founder of medical drug company Biocorp and being its Chairman and Chief Executive Officer since 2015. Quite appropriate really: Voxan must have given him a helluva headache. Handsome Voxan Black Magic was based on the firm’s original Roadster and was a product of the firm’s 2004 resurgence. Like Triumph, Voxan took a basic model and turned it into several variants. Stylish and well made, the Voxan range featured top quality components. The Black Magic (right) provided the basis for the nutty Charade Racing.